According to a report by FTSE Russell, a key provider of stock market indicesand associated data , the green economy is now worth as much as the fossil fuel sector and offers more significant and safe investment opportunities, pointing towards even more significant growth in the future. The green economy is defined as an economy that aims at reducing environmental risks and ecological scarcities, and that aims for sustainable development without degrading the environment. The green economy is also characterized by being efficient, clean, circular, collaborative and low carbon. As such, it is central to achieving the key objective of the Paris Agreement on climate action. Presently, the green economy is worth as much as the fossil fuel sector with 6% of the global stock market, roughly $4 trillion USD, coming from the clean energy, energy efficiency, water, waste and pollution services. If the sustainable economy maintains its current course, it could represent as much as 10% of the global market value by 2030, assuming around $90 USD trillion in green investment have been made by then. FTSE Russel found that, over the last five years, green companies generated higher returns than the broader stock market. The report finds large investment opportunity, backed by global efforts to combat climate change and broader environmental challenges. “Climate change is the death of progress and prosperity. Doing nothing about it is simply a bad investment in the future.”, said UN Climate Chief Patricia Espinosa in a message to the World Manufacturing Convention in China earlier this year. “The shape of the new economy is clear: it’s clean, green and prosperous, and I encourage all of you to get on board,“ she added. The FTSE Russel report finds the green economy has spread across companies of various size, nature, and geographical range in contrast to fossil fuels which has shrunk. Still, more work is required to keep the global economy on track to meet the Paris agreement goals. The report analyzes a broad range of products and services from different sectors. Findings were based on the impact of these factors on climate change mitigation and adaptation, water, resource use, pollution, and agricultural efficiency. In terms of diversification, large companies lead the way by representing roughly two thirds of the total green market value. Similarly, small and medium sized firms now represent a larger number of green companies. The energy industry, a very diverse segment ranging from building insulation to cloud technology, makes up more than half of the green economy with food, agriculture, water and transport being other important sectors. Specifically, the buildup of cloud infrastructure technology is a focus for industry leaders such as Microsoft and Amazon. According to a recent Accenture report, companies can reduce carbon emissions by up to 90% by switching to cloud computing technology. 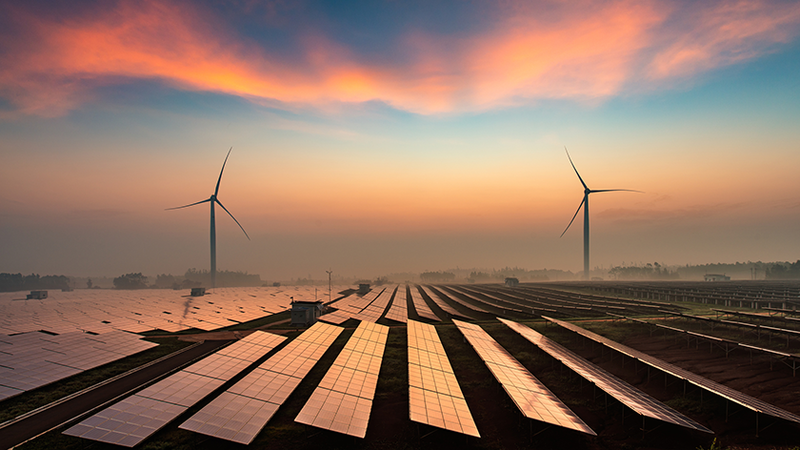 Alternative energy also plays a significant role in with rapidly growing and diversifying solar and more established technologies, such as large hydroelectric. Resources such as lithium for batteries, lightweight materials, organic foods or seeds developed to boost agricultural yields are also a key area of the green economy. Moreover, the study found approximately 3,000 globally listed companies with exposure to the green economy. This number has risen by approximately 20% since 2009 and covers 30% of global, listed market value. The largest companies in the green economy are a mix of both companies where the majority of their revenue is green, such as Tesla or Waste Management Inc, and large companies where a segment is green, such as Microsoft or Siemens. The report allows investors to understand their interactions with the green economy while developing investment strategies by quantitatively measuring the world’s transition to sustainability. Transformational decarbonization is happening across the world in all sectors resulting from technological innovation, new and creative policies and political will at all levels. The Global Climate Action Summit, which will take place from September 12-14 in California, is the next big opportunity for businesses to provide confidence to governments to ‘step up’ ambition to achieve the goals of the Paris Agreement, and we can expect a further strengthening of the green economy at that event, co-chaired by the Patricia Espinosa as the UN’s top climate change official.